The obvious answer is no. Revolutions are not made through electoral power, particularly at a municipal level. Elected government office can create important societal changes, but many competing factors hamper it as a radical tool for community power. The interest of the office holder, voters and most important, the elites who set the parameters for participation in elections. This all matters in deciding what agenda gets pushed forward and at whose expense. However, voting within a system of bourgeois democracy, even with its limitations on permanent transformative changes, does set the floor on what mass participation in government choices should include. Having some choice in picking government personnel, the collective distribution of city resources should prioritize city residents because they are the ones creating the wealth. Unfortunately, voting, instead of representing the floor in electoral participation, is often the ceiling for mass participation. The United States “democratic” system at a municipal level is particularly geared, unlike its European counterparts, toward maintaining the influence of local power centers like developers, corporations that employ large numbers within a city, corporate associations like the chamber of commerce, bond rating agencies, lobbyists for special interests, and local elites who win influence with access. Lower down on that scale are unions, and still lower than that are organized constituencies who can win changes through policy and media fights. A “balancing” of these interests and or a protecting of elite interest becomes the functional power of mayors. Essential but boring agenda items like fixing roads, reducing crime, and infrastructure maintenance are all within the immediate purview of a mayor. They also represent the allowed changes that mayors are judged on through local corporate news media stories, which gauge how well a mayor is doing and “reports” back on how well the tasks are being handled. Anything outside of this scope is tinkering that gets a mayor labeled as “too far left” who will then need to be tamed by the above-mentioned local elites, including the corporate media. Revolutionary agendas don’t usually emanate from the offices of such caretaker positions. However, the office, with its local bully pulpit and its access to literally hundreds of millions of dollars can set a course for possible radical change. In recent history, municipal elections became the natural progression to gaining “Black power” as the civil rights and Black power movement attempted to move from just making demands to controlling the local levers of power in the 1960s and 70s. After the enactment of the Civil Rights Act and the Voting Rights Act, Black majority cities became a focus for movement activity. In large cities like Cleveland, where Carl Stokes was the first Black mayor of a major city, and Richard Hatcher in Gary, Indiana, these candidates stressed the importance of improving Black living conditions with affordable housing programs, promising new jobs (or job programs) and better city services. The black mayors of the 1970s, who once had moderate to liberal politics, spoke at times to the real conditions faced by the majority-Black constituents. They counted themselves as an outgrowth of a larger movement who in their account was entering the next logical phase of a movement. Unlike today, where those running for such offices are literally scared to say the word black, or speak to a “Black agenda”. 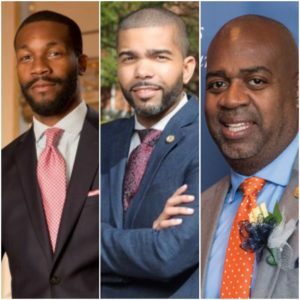 Today, with few exceptions, Mayor Ras Baraka of Newark and the recently elected Mayor Chokwe Lumumba, Jr of Jackson, Miss., being the two most notable, Black mayors see such offices as personal steppingstones toward individual career advancement. They are looking through the prism of careerists, who despite limited opportunities, hope to move up to more important electoral offices and or larger corporate opportunities. Success is not driven by how the community improves but how well they support lower corporate taxes, gentrifying development and maintaining infrastructure. As time passed many radical organizers identified electoral politics as the place where movements came to die. The time and energy it takes to participate in national and or local elections with the lack of return in improving community conditions caused many to bow out of the process altogether. This was part of the calculus that entered the minds of many of us who worked with Chokwe Lumumba, Sr. in moving toward an electoral strategy in 2008. Was there anything to gain from a less than revolutionary strategy in non-revolutionary times? As the United States was in the midst of a capitalist economic near-collapse it opened the door to the election of the first Black president. A president voted in on the Democratic party ticket, who with his family, overnight became a beloved figure in the larger Black community. Mr. Obama was/is treated as if he were a treasured family member who above all else needed not to be judged by his policy choices but to be protected from the obvious radicalized right opposition looking to not only oppose him but to delegitimize him in the eyes of working-class whites. This strategy by right-wing white elites was seen as part of a continuum within the Black community of having one of its own attacked. Little attention was paid to whether Obama was actually a part of the larger feuding elite, whose desire to protect American hegemonic interest was a bigger concern to him as president than whether the larger Black community advanced. It was in this atmosphere that the idea was solidified to focus organizational resources and energy on centering an electoral strategy in Jackson, Mississippi, around Chokwe Lumumba, Sr. Our answer, despite knowing the limitations, was that the “movement” at the time was in a death spiral. Under-resourced grassroots groups were not in a position to bring about viable, ongoing change. The weak activity of groups in the early 2000s meant that there were no Black organizations that ideologically believed in self-determination that made any critical headway through organizing or rhetorical activities. Many groups saw membership in the low hundreds, little resources, and anemic growth. Railing against the machine did little to move the community and was drowned out by larger happenings. Our belief was that the election of the first Black president, bewildering to most of us, still may have created an opening. Since Black loyalty to and participation in the Democratic party had just been rejuvenated there was an opportunity to, in essence, have a real radical voted in on the coattails of a moderate Black president, both with “funny” African names. When the decision was being made for Chokwe Lumumba to run for mayor in Jackson, several big disagreements broke out within those in the inner circle. The first was Lumumba’s reluctance to be a part of the electoral system. His well-known revolutionary history made him unenthusiastic about entering such a system. With some convincing and his own view that the stagnant nature of the current struggle meant that new/old possibilities needed to be explored, he agreed on a steadier course of first seeking a city council seat and then moving to a possible run for mayor. For those of us advocating this new course, winning the seat was less of a concern than actually employing an organizing strategy of base building in the South. Those in leadership who already lived in Jackson, however, really believed that with Lumumba’s individual base of support that a victory could be won. Once that victory was secured, the idea of running for mayor and actually winning became far more plausible in all of our minds. Lumumba, in particular, became excited about the idea, and this prompted several of us to actually move to Jackson raise resources, increase the skill base and needed infrastructure to set the stage for a victory. The next big decision was whether we should run an alternative third-party campaign or run within the Democratic party as the surer path to success. Again Lumumba stepped in and decided that a more nuanced position was possible. Knowing that whoever won the Democratic primary was the sure winner in an overwhelmingly Black city, Lumumba decided we should run on the Democratic party ticket because there was a real opportunity for victory and not the second-tier victory of symbolism because we highlighted important issues. In addition, because of Lumumba’s age and health he believed that we could secure victory now and use the time to move out of the Democratic party box. He made sure most people joined or re-upped membership in the Mississippi Freedom Democratic Party to set the stage for building somewhat outside the official party apparatus. The mayoral platform was radical to moderate, as was the campaign itself. Lumumba secured the victory, but his short time in office due to his untimely death left open more questions than it answered about the strategy. Having the office meant that compromises with invested white economic elites and Black and white political elites were an everyday occurrence. The ability to move radical policy as others threatened to cut off economic stability was an ongoing battle. Rating agencies, Republicans at a state level and hangers-on looking to enrich themselves individually (with a pro-Black dollar sign) became part of the environment of governing. Within that milieu were also the plans for larger cooperative structures, recasting the development class, increasing the wages of the lowest-paid workers, changes in police practices, and the re-orientation of a city to govern in the interest of working class and poor black people, who made up its majority. Like President Hugo Chavez on a larger scale in Venezuela (who cultivated ties over many years with Lumumba’s administration and his organization), one goal was to strengthen outside institutions that could maintain political independence and move the electorate toward more radical ideas of governing on such matters as participatory budgeting, collective resource allocation, class struggle, and grassroots pressure on governing structures. Although this experiment is not revolutionary change, it moved beyond the impasse of the radical chic of many “militant” intellectuals in the United States, who maintain that we should ignore engaging the state and the “system” on any level and build only outside of it. It also called into question the left-intellectual position of only seeking “equality” or “diversity” without creating institutions that Black people control in order to gain power and control resources. We believed that seizing state/local power was still a viable radical strategy for shifting resources and creating democratic political space. Simply put, just because you ignore the state it does not mean it will ignore you. It won’t stop collecting taxes from you, taking land, property and communities from you, or using the police to destabilize you. Those power centers with their millions/billions of dollars of resources matter and any strategy for real change must have a strategy for their local control. Today, with the recent election of Chokwe Lumumba’s son as the mayor of Jackson, those ideas get to play themselves out again over a longer period of time. The victory itself is a statement on the durability of the politics that Lumumba senior advocated. Self-determination, the creation of local community-led groups that can lead advocacy/policy fights, the shifting of city resources from the development class. Time will tell if the Jackson plan and shifts it promises are possible without a complete break from moderating forces of the democratic party while fighting the hostility of a right-wing state government. Time will tell if radical Black mayor leadership will be different than in times past. If ideas and promises to shift governing to be more people-centered are possible without a complete break from the moderating forces of the democratic party while at the same time fighting the hostile forces of right-wing state governments.